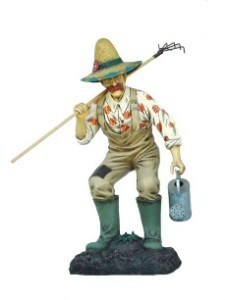 Life Like Gardener with Rake and Watering Can is Handcrafted from Resin. Gardener Figure Measures Approx. 19"l x 22"w x 41"h and weighs Approx. 21 lbs. Butlers and Signs offers free standard shipping to the lower US, although other arrangements can be made. Order now!